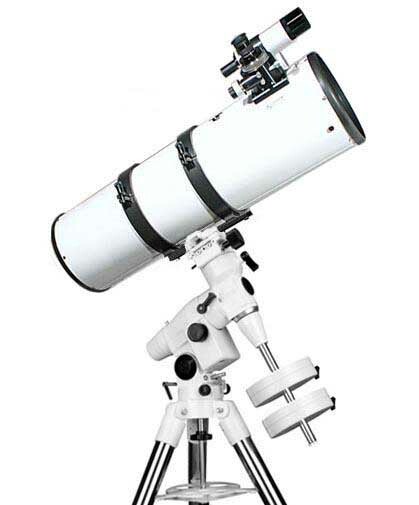 Newtonian telescope with highest quality optics available in this price range. 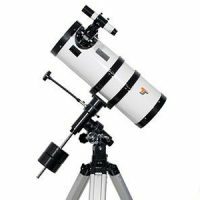 Due to the very stable steel tube as well as the precice dual speed crayford focuser the GSO 8″ f/5 Newtonian telescope is a strongly recommanded combination for astro photography as well as visual observing. 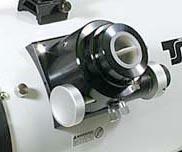 –An ultra-smooth Crayford focuser for much smoother focusing motion and zero image shift. — Sufficient Back focus allows you to reach focus even with DSLR cameras. 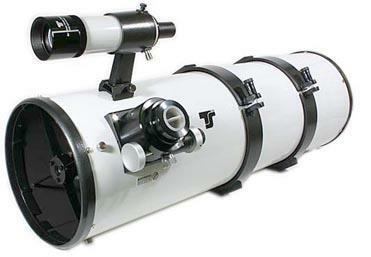 For this newtonian telescope we have used an excellent 2″ Crayford style focuser with integrated 1:10 dual speed microfocuser. These focusers have zero image shift and move very smoothly. With a bit of experience you can do such small focus movements as 0.08mm! 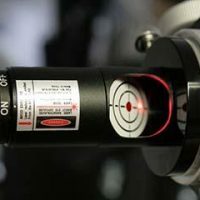 This GSO dual speed focuser is fully compatible with the TS Motorfocus system, allowing vibration free and easy focusing for high power visual observing or astro-imaging. The crayford holds eyepieces or cameras with a very good stabiltiy. Instead of chosing exotic and incredibly expensive mirror substrates we have chosen to equip this telescope with a primary mirror cooling fan to accelerate cool-down time to ambient temperature. Until a mirror is properly cooled down it will create currents of warm air that will deteriorate the image – no matter which mirror substrate is used. Only after the mirror has cooled down this effect stops. The very precisely figured parabolical primary mirror of this telescope is not made of cheap float glass, but rather of BK-7 optical glass that is free of internal stress. Thermic properties are generally better than float glass. 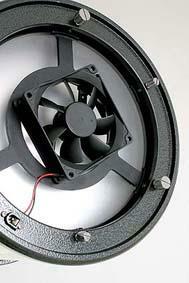 At the same time the mirror is way more affordable than more exotic primary mirror substrates that in our opinion bring hardly any advantage at all (see comments under “Primary Mirror Cooling Fan”). For easier collimation the mirrors are properly center marked.